The RIDE fixed route (blue) buses: Passengers with disabilities may request modifications to current service procedures to access the service. To make a request, please call us at 747-7103 or email us at Gerry.hope@sitkatribe-nsn.org. Please submit requests at least one business day before the trip. The Care-A-Van paratransit (white) buses: Passengers with disabilities may request modifications to current service procedures to access the service. To make a request, please call us at 747-8617 or email us at Sandra.koval@ccsjuneau.org. Please submit requests at least one business day before the trip. Passengers with disabilities may request modifications to current service procedures to access the service or to remove a discrimination situation based on passenger’s disability. . Please submit requests as soon as possible, if possible at least one business day before the trip. 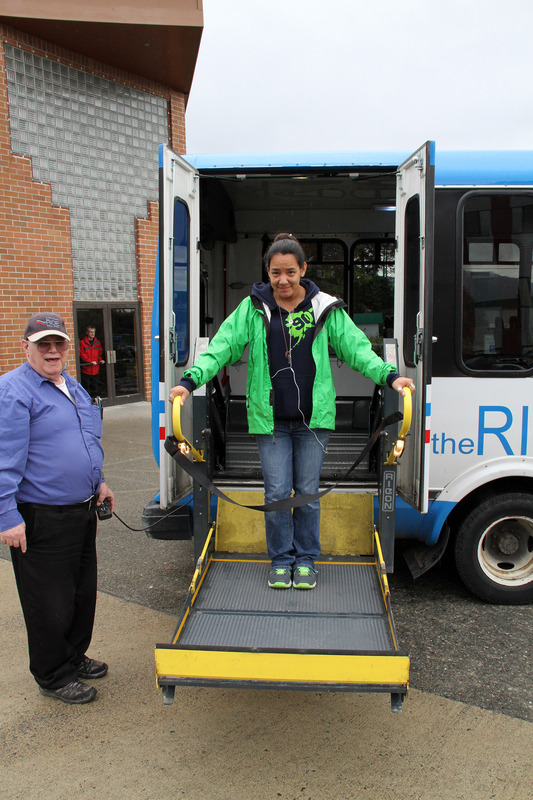 The transit manager at RIDE or Care-A-Van will attempt to respond to same-day requests but a request in advance is more likely to be granted. The RIDE will not charge additional fees for passengers requiring reasonable modifications. If you have a complaint about the accessibility of our transit system or service, or believe you have been discriminated against because of your disability, you can file a complaint. Click here for the complaints procedures and form. Please provide all facts and circumstances surrounding your issue or complaint so we can fully investigate the incident.